Top 10 Things to Make your ‘Scope Last! 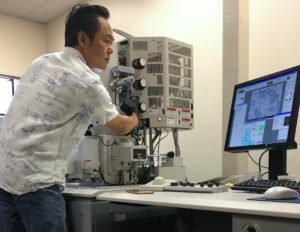 Top 10 Things You Can Do to Keep Your SEM, TEM or Dual Beam Working in Tip Top Shape! 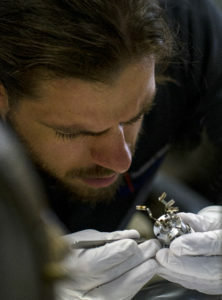 Microscope repairs can be costly – we all know it. Sometimes, just like with your car or appliances, you can help avert bigger issues and make your scope last longer by paying attention to the little things. TSS Microscopy has many years of experience working with microscopes in all different states of disrepair, and we’ve seen some pretty nasty stuff. Here, we share with you what we think are some of the most important things you can do as an owner or user to help protect your investment. 1. Listen and Look! You do this instinctively with your car; why not also with your microscope? When you use something often, you learn to recognize the normal noises, hiccups and flickers that it makes. If you pay close attention and take note when things are different, it can be really helpful in diagnosing a problem early, perhaps before it gets out of hand. Take the time when you use your SEM, TEM, or Dual Beam to make a note if something is not the same as last time. 2. Change the oil. Again, just like some very mechanical things in the world that we deal with daily, be sure to take care of the basic maintenance items for your scope, like changing the roughing pump oil or having tip seals on dry pumps changed. Bad oil in a pump or compressor can affect performance and create other issues. 3. Make sure it’s cool. Chilled water is required for many microscopes, either for the lenses or for the pumps. Make sure that your house water or closed-loop chiller is clean and producing water at the correct flow and temperature. Also be sure to look at the water… is there algae? Are other weird things growing? Does it smell funky? A water flush might be in order before it presents further problems like clogged lens lines and more. There are also other things we can do to help on topics like this. 4. Wear gloves. It’s a simple preventive maintenance thing that some users do not do. We recommend glove usage when doing anything that could be near or go into the vacuum chamber on a SEM, TEM, or Dual Beam. A little bit of grease or oil introduced during each sample change can add up and eventually degrade the vacuum. It’s not worth it. Suit up! 5. Consumables: They are called that for a reason; they aren’t meant to be used forever. Apertures, beam chemistry, detectors – they all fall under that consumable umbrella. TSS recommends replacing consumables at the OEM recommended intervals. 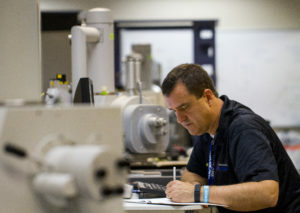 Replacing in advance of failure can certainly improve tool performance and avert a tool crisis right at the wrong time! Isn’t it true that your detector dies or you run out of platinum right when you are working on that one critical sample?! This can be avoided. 6. Patience. No meditation necessary, but patience is key. What we mean is this: on a TEM, or even a SEM or Dual Beam, if you rush inserting a sample holder you can inadvertently create an issue. The TEM stage in particular, is very sensitive because delicate vacuum fittings and vacuum system components share the same space where the sample holder goes, so it pays to take a little extra time, have a little extra patience and do things carefully. 7. Maintain a clean environment. We’ve seen it all at TSS – from desktops that were covered with chewing gum on the underside – to filthy computer fans and a few things we would rather not talk about. These scopes are dust and debris collectors. They have powers supplies and fans in places that you might not expect, and by nature of the electronics they are dust receivers. Keep your environment clean and healthy and you will most certainly have a healthier scope! 8. Track. I’m not talking about taking a run at lunch, although that may not be a bad idea. I’m talking about tracking and tool logging. It’s important to keep records of what samples are run, key scope parameters (vacuum levels, etc…) and what may have happened during a certain session on the scope. This can make it a lot easier to troubleshoot and diagnose issues when they arise. Often, you can use this information to predict when failures might occur and therefore save time, money, and stress. 9. Back up your system computers. Computers and hard drives can fail, regardless of if they are old or new. It’s a great idea to have a clone or exact backup of the hard drive for plug and play usage should something go wrong. 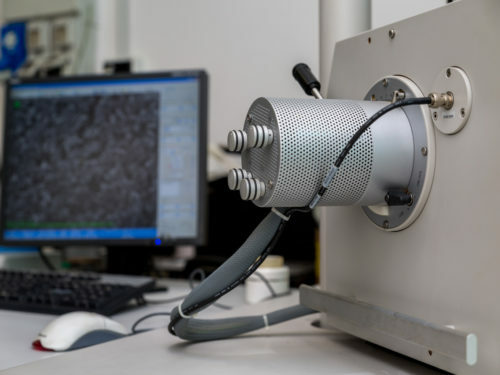 TSS Microscopy does offer some solutions that can help make this an easier job for you, particularly if you have an older microscope computer that doesn’t have today’s hardware interface conveniences. 10. Resources! Use them! TSS Microscopy is here to help you with no judgement and no reprimands. We offer service, and we stock or can get the parts and consumables you need, even if you have an older microscope that is no longer supported by your OEM. We are available over the phone, in person, or via our remote diagnostic platform. Just contact us should something go wrong. We boldly go places that the OEM does not. Contact TSS for more info!